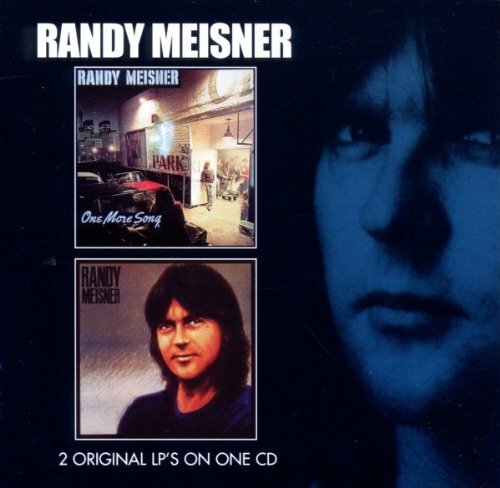 RANDY MEISNER-ONE MORE SONG AND RANDY MEISNER. Musical history was made in September 1971, when Don Henley, Glenn Frey, Bernie Leadon and twenty-five year old Randy Meisner formed The Eagles and signed with David Geffen’s new label Asylum Records. Little did David Geffen realise that he had signed one of the biggest bands of the seventies, and The Eagles would transform the fortunes of new label. Over the next six years, Randy Meisner was the bassist and adding backing vocals on The Eagles’ first five albums which sold twenty-five million copies in America alone. The most successful album The Eagles released was Hotel California in December 1976 which sold sixteen million copies, was certified diamond and won two Grammy Awards. The success of the album was beyond The Eagles’ wildest dreams, but despite that, all wasn’t well behind the scenes. In September 1977, Randy Meisner announced he was leaving The Eagles, citing exhaustion, which was no surprise given the band’s gruelling recording and touring schedule over the past six years. However, part of the reason behind Randy Meisner’s departure was the constant arguments among the group. While the departure of Randy Meisner marked the end of an era for The Eagles, but the start of a new chapter for thirty-one year old singer, songwriter and bassist. Randy Meisner had decided to embark upon a career as a solo artist, and signed to Asylum Records in 1978. Later that year, the thirty-two year old released his debut album Randy Meisner in June 1978. 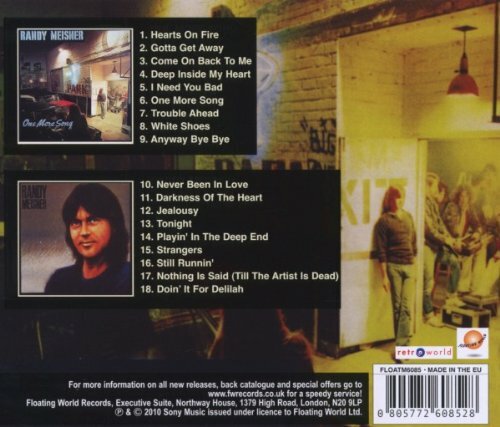 While this album of country rock, AOR and rock was well received by the majority of critics, it wasn’t the success that Randy Meisner had hoped and the album failed to trouble the charts. For Randy Meisner who wasn’t used to failure, this was a huge disappointment, and to make maters worse, he was dropped by the label. This made him doubly determined that his sophomore album would be a success. Two years later, and Randy Meisner returned in 1982 with One More Song which was released on Epic and was the start of a new chapter for the singer-songwriter. One More Song which has been paired with his third album Randy Meisner, and released by BGO Records, is a reminder of his Epic years. Following the commercial failure of Randy Meisner, the former Eagle eventually began work on his sophomore album which later, became One More Song. It was a quite different album from Randy Meisner, which was essentially an album of cover versions. The only Randy Meisner composition on the album had been a reworking of Take It To The Limit which he cowrote with Don Henley and Glen Frey. This was proof, if any was needed, that Randy Meisner was a talented songwriter. All he needed was the right songwriting partner. Fortunately, Randy Meisner discovered singer-songwriter Eric Kaz, and the pair cowrote Hearts On Fire and Deep Inside My Heart. They the joined forces with Wendy Waldman and penned Gotta Get Away, Come on Back to Me, I Need You Bad and Trouble Ahead. Jack Tempchin who wrote The Eagles classic Peaceful Easy Feeling contributed One More Song and White Shoes. To close One More Song, Randy Meisner decided to cover Richie Furay’s Anyway Bye Bye. The recording of One More Song began on May the ’26th’ 1980 and continued to August the ’20th’ 1980. Joining Randy Meisner who took charge of lead vocals and played guitar was a rhythm section of drummer Craig Krampf, bassist Bryan Garofalo and guitarist Craig Hull who also played steel guitar and pedal steel. The other members of the band included keyboardist Sterling Smith and percussionist and backing vocalist Don Francisco. Other musicians were brought onboard to record one or two songs. This included Kim Carnes who added background vocals on Deep Inside My Heart. When it came time to record One More Song, Eagles Glen Frey added backing vocals and Bill Cuomo played synths and returned when it came to record I Need You Bad, which featured saxophonist Michael Jacobs. Wendy Waldman joined the band during the recording of Come On Back To Me, and played acoustic guitar, backing vocals and guitar. Meanwhile, Val Garay took charge of production on One More Song which was hoped would kickstart Randy Meisner’s solo career. With One More Song completed in late August 1980, the album was scheduled for release by Epic in October 1980. This was a quick turnaround and only left two months to promote what was now the most important album of Randy Meisner’s solo career. When critics heard One More Song, they were won over by a carefully crafted album of country rock, AOR and rock that was a much better album than his 1978 eponymous debut album. Partly, that was because of the songs that featured One More Song, and especially the songs he wrote with his new songwriting partners. There was also an honesty and innocence to a number of the songs while others had a rootsy sound that were perfectly suited to Randy Meisner. However, among the highlights of the album was the heartfelt paean I Need You, and beautiful ballads about love and love lost like Gotta Get Away, One More Song and Trouble Ahead. They’re a showcased Randy Meisner’s skills as a singer and songwriter. Meanwhile, the songs that had been earmarked as singles Hearts On Fire and Deep Inside My Heart were languid AOR tracks were radio friendly. Very different was the lively and exuberant Anyway Bye Bye, which closed the album on a memorable high. When Deep Inside My Heart was released the lead single from One More Song, it reached twenty-two in the US Billboard 100. This augured well for the release of One More Song in October 1980, which released fifty in the US Billboard 200 and forty-four in Canada. Hearts On Fire was released as a single in 1981, and reached nineteen in the US Billboard 100 and fourteen in the Mainstream Rock charts. One More Song which had charted and featured two hit singles and had transformed Randy Meisner’s fortunes and he was keen to build on this success. Buoyed by the success of One More Song, Randy Meisner began work on his third album later in 1981. He had received plaudits and praise for the songs he cowrote for One More Song, including the love songs. Many critics thought that Randy Meisner would renew his songwriting partnership with Eric Kaz and Wendy Waldman. However, that wasn’t the case. Instead, Randy Meisner only wrote four new songs for his third album, with new songwriting partners. Randy Meisner wrote Layin’ In The Deep End and Nothing Is Said (‘Til the Artist Is Dead with Dixon House, then joined forces with Howard Leese to write Still Runnin’. Then Randy Meisner, Dixon House and Howard Leese wrote Jealousy together. These four songs were augmented by five cover versions. This included Craig Bickhardt’s Never Been In Love, David Palmer’s Darkness Of The Heart, Bryan Adams and Jim Vallance’s Tonight. They were joined by Elton John and Gary Osborne’s Strangers and John Corey’s Doin’ It For Delila which would close Randy Meisner. John Corey who played piano and added backing vocals. They were augmented by backing vocalists Ann Wilson, Nancy Wilson and Marcy Levy, saxophonist Phil Kenzie, synth player Mitchell Froom, Tower Of Power who added horns and Sterling Smith who played organ, synths and piano. This all-star band was joined by Randy Meisner’s two songwriting partners, with Dixon House playing organ, piano, background vocals and Howard Leese played acoustic and electric guitar, synths and added backing vocals. After three months, Randy Meisner was completed and ready for release. 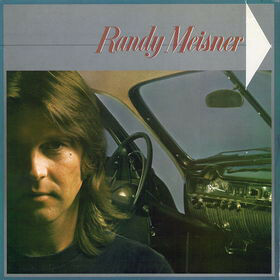 This time around, Epic decided to release Randy Meisner in August 1982, which allowed more to promote the album. They were hoping to build on the success of One More Song, which featured two hit singles. Critics on hearing Randy Meisner, realised that it was a beautiful, melodic album of country rock, AOR and rock that sometimes packed a punch. During this latest carefully crafted album, Randy Meisner incorporated hooks aplenty, soaring melodies, Tower Of Power’s horns, backing vocals from Nancy Wilson, clever lyrics and sometimes, raw power. Randy Meisner was another carefully crafted album from a talented singer, songwriter, musician and now producer. It opened with the hook-laden rocker Never Been In Love, and continued to rock on Darkness Of The Heart that sounds not unlike Meat Loaf. Jealousy was a melodic and memorable track that featured raw power, while Tonight features soaring harmony and Playin’ In The Deep End was an anthem-in-waiting. Strangers was a beautiful, elegiac duet with Heart’s Ann Wilson duets while Still Runnin’ was a hook-laden, anthem that featured one of Randy Meisner’s best vocals. Nothing Is Said (‘Til the Artist Is Dead) was a slice of good time country rock before Randy Meisner closed the album on a high with the radio friendly Doin’ It for Delilah. Buoyed by reviews which hailed Randy Meisner as a fitting followup to One More Song, executives at Epic and Randy Meisner must have been feeling positive about the album’s release in August 1982. Sadly, Randy Meisner stalled at a lowly ninety-four in the US Billboard 200. The only small crumb of comfort was that Never Been In Love reached twenty-eight in the US Billboard 100 and thirty in Canada. However, Randy Meisner was an album that deserved to fare much better than it did. After the release of Randy Meisner, its author left Epic and never again released a solo album that featured new original songs. That was a great shame as Randy Meisner was a talented songwriter who could breathe life, meaning and emotion into the songs that he wrote. 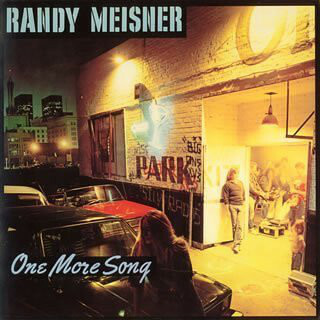 That was the case on One More Song and Randy Meisner which have been remastered and recently reissued by BGO Records. These two albums feature Randy Meisner at the peak of his powers during the early years of what should’ve been a long and successful solo career. Sadly, Randy Meisner never reached the heights that he should’ve during his solo career, and nowadays is remembered as a member of Poco, but mostly as The Eagles bassist and backing vocalist. That was where he enjoyed the most successful period of his career. However, like many musicians who become part of a hugely successful band, Randy Meisner struggled with his newfound fame. Throughout his career, Randy Meisner has bravely battled his demons and has struggled with alcohol dependency. That was the case during the six years he was a member of The Eagles, and during his solo career. 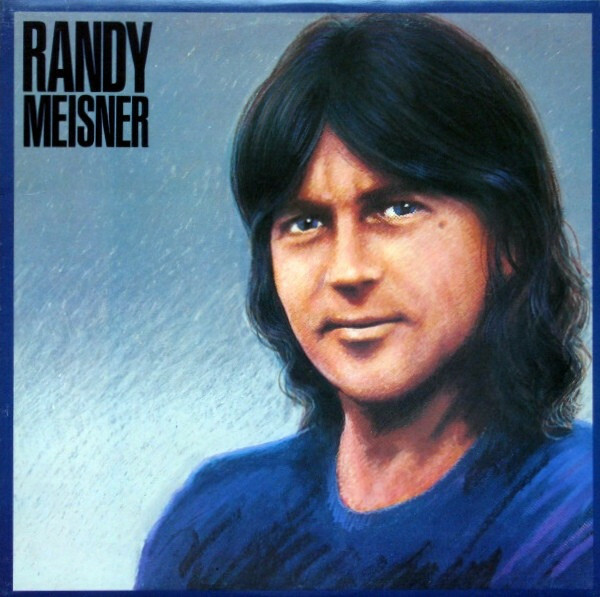 Maybe his battle with alcohol dependency stopped Randy Meisner fulfilling his potential as a solo artist? Despite a turbulent life marred by addiction, health problems and tragedy, Randy Meisner has been a member of two successful bands Poco and The Eagles who sold twenty-five million albums while he was a member of the band. After that, Randy Meisner embarked upon a solo career, and in 1980 and 1982 recorded his two finest solo albums One More Song and Randy Meisner. ← TOM WAITS-HEARTATTACK AND VINE.